How fun are these striped star knee socks from Yporqué?! 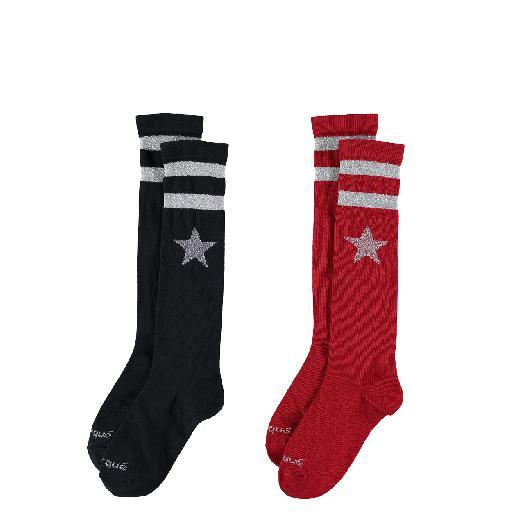 In a pack of 2 in red and black with 2 stripes and a star at the top in glitter. These knee socks are not only hip but also super nice!